This case deals with groundwater pollution problems and the importance of revitalization of sacred natural sites in the Mayan area of Yucatan, Mexico. In Yucatan instead of surface rivers, there are groundwater caves, locally called cenotes: Cenotes represents unique elements of the landscape, which are embedded in a particular knowledge system. They are home of important endemic species, migratory birds and represent the main source of freshwater for the population (nearly 2 million inhabitants). The Mayas of Yucatan are one of the largest but most vulnerable indigenous groups in Mexico. Even though they possess values and knowledge about water, population is not allowed to support local monitoring despite the fact that cenotes hold ancestral values and they continue to have impact on the resource, their biota and cultural values. In Yucatan, a lot of work has focused on the hydrological function of groundwater system and its environmental problems. The integration of local values and the revitalization of sacred natural sites, as part of community-based conservation, can result in successful outcomes for better water management. Yucatan is an area of great environmental and cultural importance. A large number of traditional sacred natural sites have been reported, most of them water-related including human-made monuments, springs, landscapes, caves and cenotes (from the Mayan word ts’onot, sinkhole). Cenotes represent unique elements of the landscape, which are embedded in a particular socio cultural Maya system and represent the basis of the cultural and spiritual significance of nature for the contemporary, and the ancient Maya. The Maya depended exhaustively on groundwater resources for the provision of water as well as for cultural reasons. Since ancient times, they had to design, build, create, and control their own water resources for their source of drinking water. This implies a detailed knowledge base of the resource in an intimate relationship with their belief system and worldviews. Historically, practices and culture were water-rainfall oriented where the underworld represents the basis for their worldview, where powerful supernatural beings live, where the souls of the dead go, and where ancestors reside. In general sacred places were related and shaped by water rituals, some of them are still on practice. The landscape in Yucatan is defined by a permeable karstic soil and comprises thousands of cenotes, particularly in The Ring of Cenotes wetlands – a groundwater system product of a meteorite impact 65 million years ago. Cenotes are the home of important endemic species (e.g. Blind Fish (Ogilbia pearsei) and Blind Swamp Eel (Ophisternon infernale)), and they represent the main source of freshwater. Despite cenotes have been recognized due to its importance by UNESCO and RAMSAR, they are not well recognized by the government. Some beliefs and rituals have been lost and legal protection cannot deal with threats related. According to the Mexican National Water Law, water belongs to the Nation and technically groundwater is a common resource. However, governance of cenotes is mostly unclear and the property rights are not well defined. Some are located in protected areas, local authorities manage others; few of them are private or managed by ejido members and several of them are open access. The current governance system is polycentric but does not work properly. Government and policy makers do not influence decision-making processes made by associations and communitarian cooperatives. Population is not able to develop rules for better practices and they do not organize to manage de resource. Users are allowed to take water from any part of the aquifer, but collective choice arrangements are absent or work in an isolated way. Mismatches among institutions and jurisdictions, and lack of rules created a transition from local common management to an open-access use. Efforts have been made by some groups to protect the resource (e.g. clean-ups) but locals do not tend to be involved because of the little incentive and they cannot regulate a joint use. Recognizing traditional ecological knowledge: To integrate cultural and spiritual significance of nature government should recognize traditional ecological knowledge as an important informal norm of monitoring to promote better groundwater management. Restoring traditional commons institutions: Some actions that can be implemented to take the cultural and spiritual significance of nature into account in management or governance include: participatory action, linking indigenous local knowledge with modern scientific and technical approaches, and revalorization of values. This can support monitoring, interpreting, and caring for groundwater ecosystems, the resources, and services that they generate. Revival of cultural values regarding sacredness of cenotes: By bringing current actions and local efforts to the scientific arena, working towards groundwater literacy for society and by respecting Maya wisdom. Revitalizing community responsibility, backed up by government regulation: By performing local-communitarian activities with the young and the different groups of actors drawing from scientists, experts, local members, NGO’s, underwater explorers, local and municipal authorities, communitarian leaders, etc. Andrews, A. (1981). El “Guerrero” de Loltun: Comentario Analitico. Boletin E.C.A.U.D.Y. 48: 36–50. Brady, J.E. and Bonor-Villarejo, J.L. (1993). Las cavernas en la Geografia Sagrada de los Mayas. In Iglesias, M. and Ligrorrd, F. (eds. ), Perspectivas Antropologicas en el Mundo Maya, Sociedad Espanola de Estudios Mayas, Madrid Spain, pp. 75–95. Berkes, F. (2012). Sacred Ecology, 3rd ed. New York and London: Routledge, pp. 53–105. Berkes, F. and Turner, N. (2006). Knowledge, Learning and the Evolution of Conservation Practice for Social-Ecological System. Human Ecology 34: 479–494. Bonnafoux, P. (2011). Waters, Droughts, and Early Classic Maya Worldviews. In C. Isendahl and Persson, B. (eds. ), Ecology, Power, and Religion in Maya Landscapes. Acta Mesoamericana, Malmo: Verlag Anton Saurwein 23: 31–48. Borrini-Feyerabend, G., Kothari, A. and Oviedo, G. (2004). Indigenous and Local Communities and Protected Areas: Towards Equity and Enhanced Conservation. 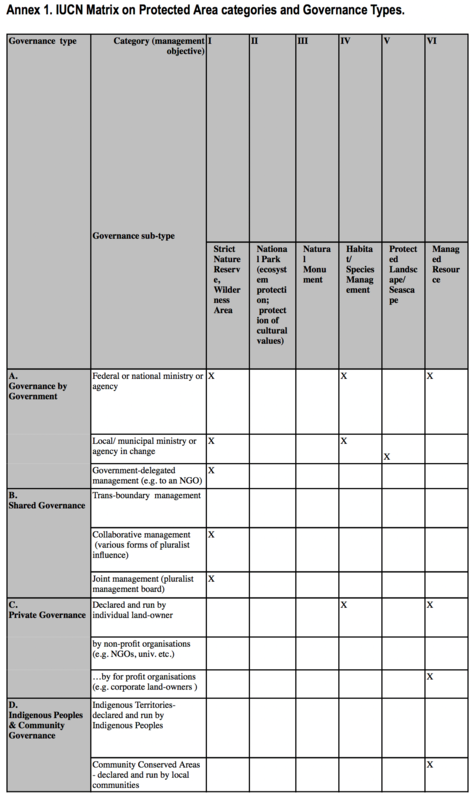 Guidance on policy and practice for Co-managed Protected Areas and Community Conserved Areas A. Phillips (eds. ), Gland, Switzerland: IUCN. Dudley, N., Higgins-Zogib, L. and Mansourian, S. (2009). The Links between Protected Areas, Faiths, and Sacred Natural Sites. Conservation Biology 23: 568–577. Ferrand, E.A., Dunning, N.P., Lentz, D.L. and Jones, J.G. (2012). Use of aguadas as water management sources in two southern maya lowland sites. Ancient Mesoamerica 23: 85–101. Healy, P.F. (2007). The Anthropology of Mesoamerican Caves. Reviews in Anthropology 36: 245–278. Hildebrand, A., Penfield, G., Kring, D., Pilkington, M., Camargo, A., Jacobsen, B and Boyton, W. (1991). Chicxulub Crater: A possible Cretaceous/Tertiary boundary impact crater on the Yucatan Peninsula, Mexico. Geology, 19: 867–871. Huntington, E. (1912). The Peninsula of Yucatan. Bulletin of the Amercian Geographical Society 44: 801–822. Lopez-Maldonado, Y. (2015). Groundwater common pool resources in Yucatan, Mexico: Understanding commonisation processes -and anticipating decommonisation- in the cenotes of the Mayan area. In 15th Biennial Global Conference: International Association for the Study of the Commons. Edmonton, Alberta, Canada, pp. 1–48. Lucero, L.J. (1999). Water Control and Maya Politics in the Southern Maya Lowlands. Archeological Papers of the American Anthropological Association 9: 35–49. Ostrom, E. (1990). Governing the Commons: The Evolution of Institutions for Collective action, United Kingdom: Cambridge University Press. Oviedo, G. and Jeanrenaud, S. (2007). Protecting Sacred Natural Sites of Indigenous and Traditional Peoples. In Mallarach, J. and Papayannis, T. (eds. ), Protected Areas and Spirituality. Proceedings of the First Workshop of The Delos Initiative, Montserrat 2006. Gland, Switzerland, and Montserrat, Spain: IUCN, and Publicacions de l’Abadia de Montserrat, pp. 77–100. Schaaf, T. and C. Lee, eds. (2006). Conserving cultural and biological diversity: the role of sacred natural sites and cultural landscapes. Proceedings of UNESCO-IUCN Interantional Conference, Tokyo, Japan, UNESCO, Paris. Scarborough, L. (1998). Ecology and Ritual: Water Management and the Maya. Latin American Antiquity 9: 135–159. Thorley, A. and C.M. Gunn. (2008). Sacred Sites: An Overview. A Report for the Gaia Foundation. London. The Gaia Foundation. Veni, G. (1990). Maya utilization of karst groundwater resources. Environmental Geology and Water Sciences 16: 63–66. Verschuuren, B.R., Wild, R., McNeely, J., and Oviedo G. (2010). Sacred natural sites: Conserving nature and culture. In Verschuuren, B., Wild, R., McNeely, J., and Oviedo, G. (eds. ), London, UK: Earthscan. Wild, R. and McLeod, C. (2008). Sacred Natural Sites: Guidelines for Protected Area Managers. In Wild, R. and C. McLeod, C. (eds. ), Best Practice Protected Area Guidelines Series No. 16 R. Gland, Switzerland: IUCN.